Cardiff by the Sea is a small stretch of beach between Solana Beach and Encinitas. It is known for its wide open sandy beaches, gorgeous cliffs, and great surfing. It even has a beach campground with a spectacular oceanfront setting (book well in advance). 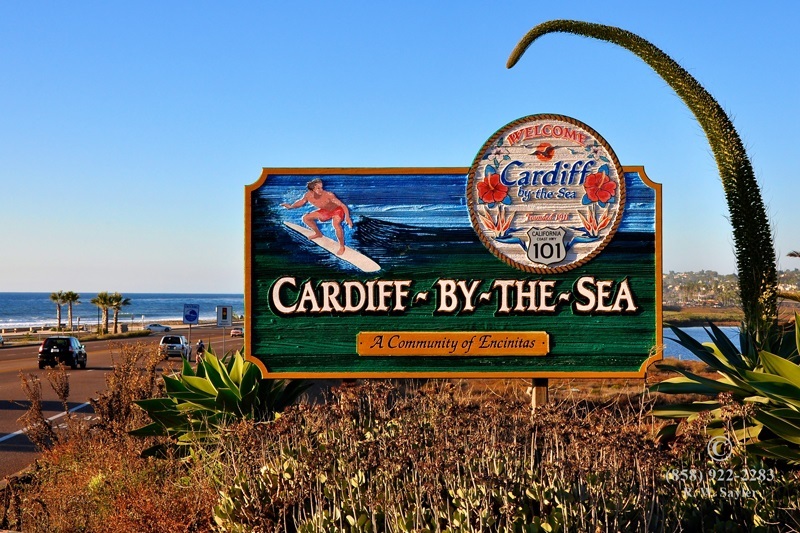 Cardiff is home to the Cardiff Kook, a surfer statue that is both criticized and revered, as parody of California’s iconic sport. Its beaches and two kelp beds is good for both surfing, snorkeling and diving. It also offers a small restaurant row. Population for Cardiff is approximately 11,837. Average income is approximately $86,543. Average price of a home is $1,654,627.